Diving with a TIGER SHARK ... UNFORGETTABLE!!! Galeocerdo cuvier, the Tiger shark, is a relatively large shark with some specimens capable of attaining a length of over 5m. The popular name 'Tiger' comes from the dark stripes on the body which resembles a Tiger's pattern - these stripes tend to fade with maturity. It is a solitary species and is most commonly seen cruising slowly. 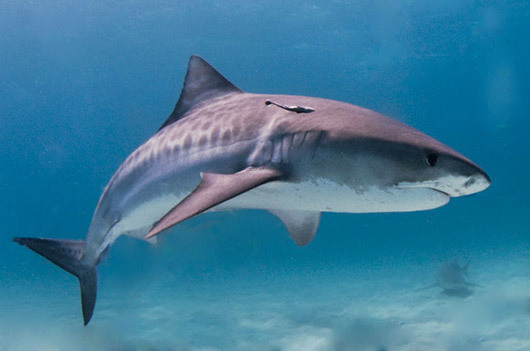 Tiger sharks can cover great distances in search of food. The Bull shark ... the resident shark of PROTEA BANKS! 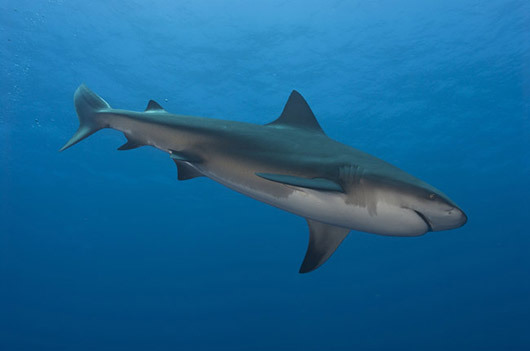 Carcharhinus leucas, the Bull shark, is also known as the Zambezi shark in Africa. 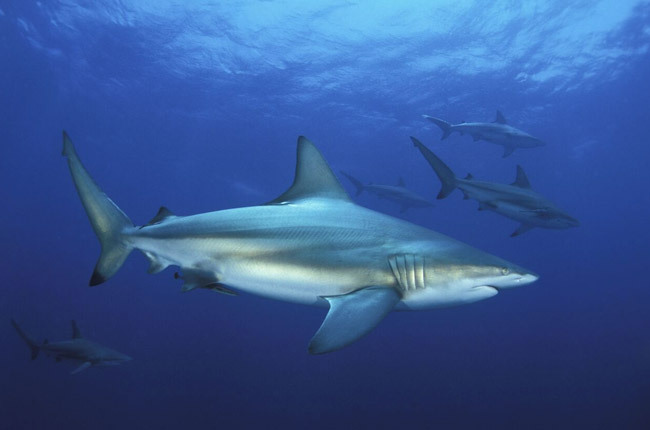 The Bull shark, has a robust shape with a broad and flat snout. The females are larger than the males. The maximum size of a Bull shark is about 3.5m. Cheeky ... darting in and out of dives on PROTEA BANKS!! 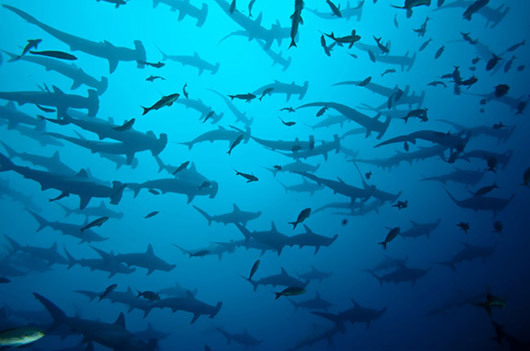 Diving with 100's to 1000's of HAMMERHEAD SHARKS ... need I say more? The Hammerhead shark is unmistakable because of its shape, which is the very reason for its popular name, although it is sometimes very difficult to differentiate between the different species. The Greater Hammerhead shark and Scalloped Hammerhead sharks are mostly encountered on PROTEA BANKS. 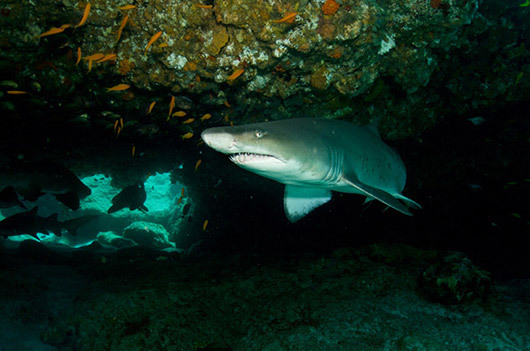 RAGGED-TOOTH SHARKS congregate on PROTEA BANKS to mate! The Ragged-tooth shark, Carcharias taurus, has a sharp, pointy head with a bulky body. The colour is grey with reddish-brown spots on their backs and they can reach a length of about 3m. 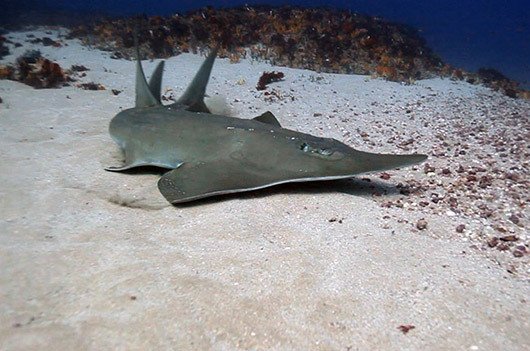 The Giant Sandshark is part of the family of Rays. This Sandshark is known for its elongated body with a flattened head and trunk, with small ray like 'wings'. Their shape is due to the fact that they are bottom dwelling fish usually living on the sand. Humpback Whales are known for their magical songs, which travel for great distances through the world's oceans. These sequences of moans, howls, cries, and other noises are quite complex and often continue for hours on end. Scientists are studying these sounds to decipher their meaning. 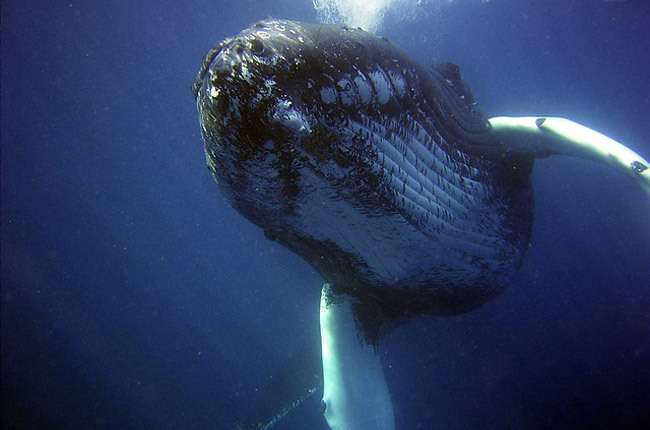 It is most likely that Humpback Whales sing to communicate with others and to attract potential mates.